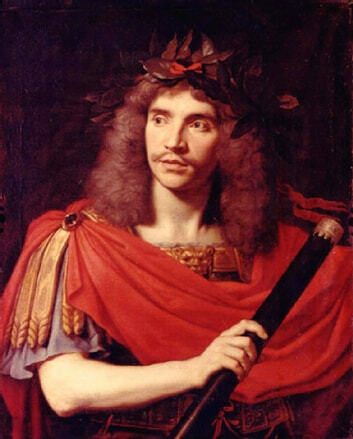 According to Wikipedia: "Jean-Baptiste Poquelin, also known by his stage name Molière, (January 15, 1622 - February 17, 1673) was a French playwright and actor who is considered one of the greatest masters of comedy in Western literature. Among Molière's best-known dramas are Le Misanthrope, (The Misanthrope), L'Ecole des femmes (The School for Wives), Tartuffe ou l'Imposteur, (Tartuffe or the Hypocrite), L'Avare ou l'École du mensonge (The Miser), Le Malade imaginaire (The Imaginary Invalid), and Le Bourgeois Gentilhomme (The Bourgeois Gentleman)." Biographie de Alfred de Musset : sa vie et ses œuvres.